3 Best of Everything: Staying Fit, Stylish, and Prepared for Anything - the fun way! In recent years, subscription service boxes have exploded into the mainstream marketplace. Should you consider getting one? The answer is more than skin deep. Do you destroy your budget with random purchases or stuff from Target's $5 bins? Through one of these subscriptions your extra spending is kept in line, because you've already budgeted for it, and it satisfies that need for novelty. If you're like me, you'll be much less tempted by this random emotional spending. Are you often putting yourself last? By subscribing, you get a beautiful box in the mail filled with gorgeous gifts - so you've made it easy to get something "just for you"
Do often find yourself scrambling at the last second for trendy and unique gifts for your girlfriends? You'll be armed with giftable items that could be easily wrapped up and given as a gift at short notice, when you don't normally have time to shop or you get invited to holiday parties.. If you answered yes to any of these questions, consider one of these three great boxes, and make sure to get the discount through these links and support the blog cause! 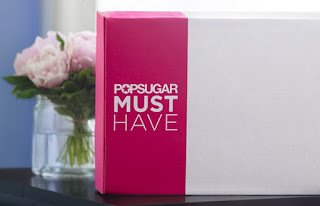 What you get: POPSUGAR promises $100 worth of items in their box. Pros: Curated on-trend items shipped to you monthly. Plus, they sometimes send books - nurturing your mind! How it works: The best in fashion, beauty, home, fitness, food, and more delivered straight to your door. The items are awesomely giftable full size. I can't wait to give you more details as I experience this one first hand, but all the POPSUGAR reviews I've read are very good. Bottom line: POPSUGAR is a new box to keep your eye on, and seems like a fun and worthy alternative to the FabFitFun box. Get POPSUGAR now! What you get: Every FabFitFun box contains $200+ worth of full size items, a mix of full size beauty, fashion, fitness, wellness, and home products, by far the widest selection of different types of products among beauty boxes. Pros: Did I mention FULL SIZE PRODUCTS? Plus, FabFitFun has got you covered across all areas of your life and lifestyle. Like Birchbox, FabFitFun also offers add-ons to your box for purchase. Last box, FabFitFun perfectly anticipated my needs, sending me an awesome water infuser and mini boom box that hooks up to my phone. This made my outdoor fun so much better, plus other items I was able to give as gifts! How it works: You can subscribe on a quarterly basis for $49.99 per season or go in for a full year at $179.99, which is a savings of $20 over the quarterly subscription. Although individual boxes are not yet customized, your preferences are taken into account for curating future boxes. Bottom line: If you’re looking for a wide selection of full size products at a great value, FabFitFun is for you. Get FabFitFun now! Glossybox may not have as much name recognition as Birchbox, but perhaps that’s by design. Glossybox is the Neiman Marcus of beauty boxes. They’re exclusive, they’ve got all the top brands, and they’re pricey. What you get: Five products, ranging from travel to deluxe and full sizes. Glossybox offers a great mix of makeup, hair, and skincare options from boutique and major high-end brands. Pros: Did I mention the opportunity the try out ultra premium brands at a fraction of the full price? Plus, Glossybox’s packaging lives up to its products’ high-end promise. With its ribbon and tissue, you have the complete experience of treating yourself to a true indulgence every month. Like Birchbox, Glossybox also features great partnerships, like their recent collab with The Man Repeller, as well as special limited edition boxes. 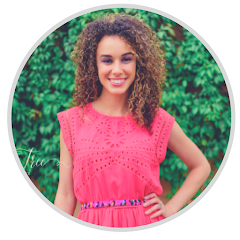 How it works: Fill out your online beauty profile, including your age, skin type, hair type, and overall style (i.e. chic, sporty, etc.) to customize the contents of your box. You can subscribe on a month-to-month basis for $21 per month or go in for a full year at $222, which works out to $18.50 per month. 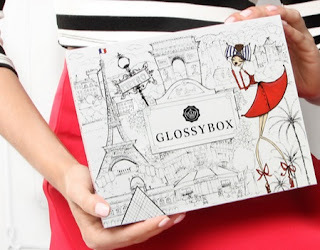 Bottom line: If you’re looking for luxury from products to packaging, Glossybox is for you. Get Glossybox now! So, tell me… Are you planning to join the beauty box revolution? If so, which box option appeals to you most?